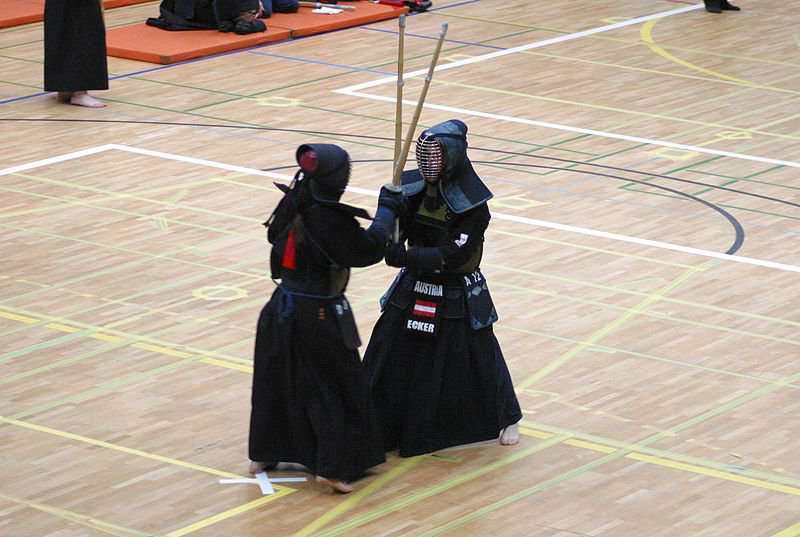 Kendo is a Japanese martial art which is based on an ancient form of Japanese sword-fighting called kenjutsu in which kendōka (fighters) use a bamboo stick known as a shinai rather than a real sword and protective armour (bōgu). 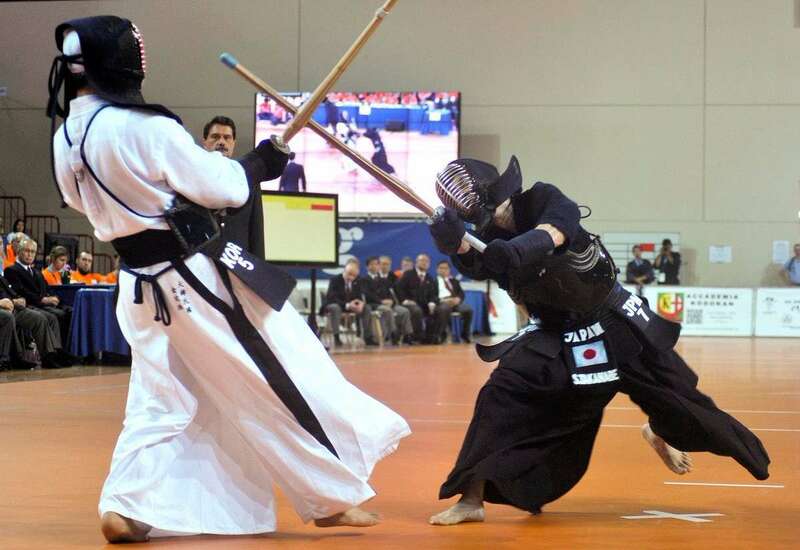 The formal exercises of kendo known as kata were several centuries ago and named as kenjutsu practice for warriors. 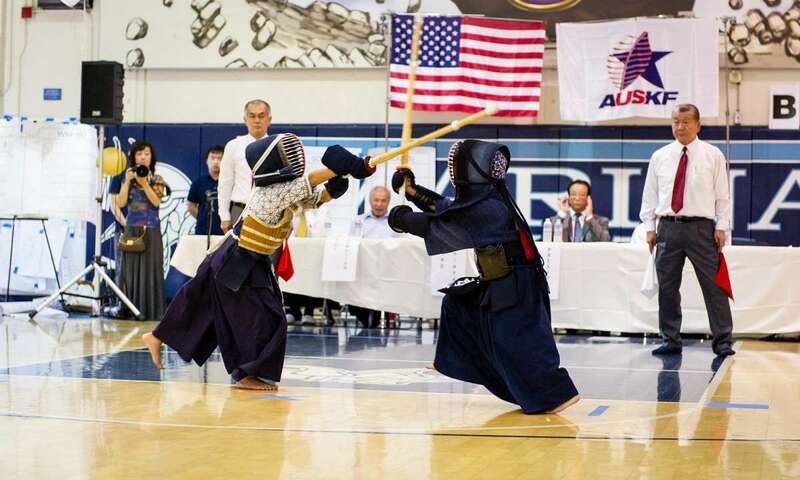 The bamboo swords (shinai) and armour (bōgu) were introduced to the sport's training by Naganuma Shirōzaemon Kunisato during the Shotoku Era (1711–1715). 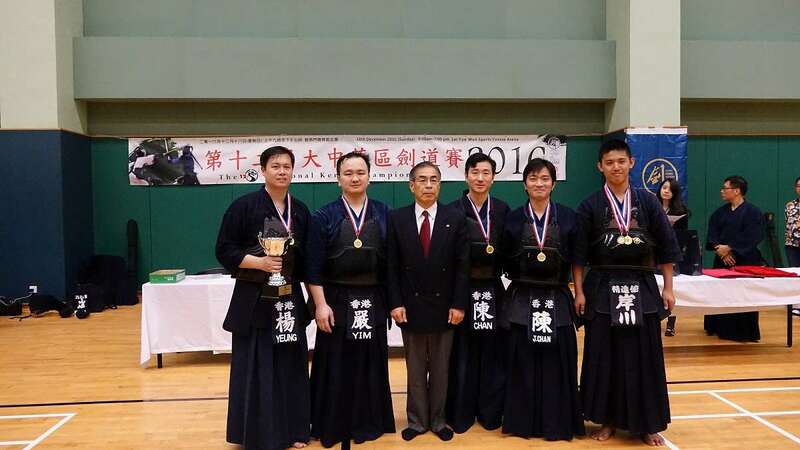 Today, the sport is widely practiced in Japan and several other nations across the world. 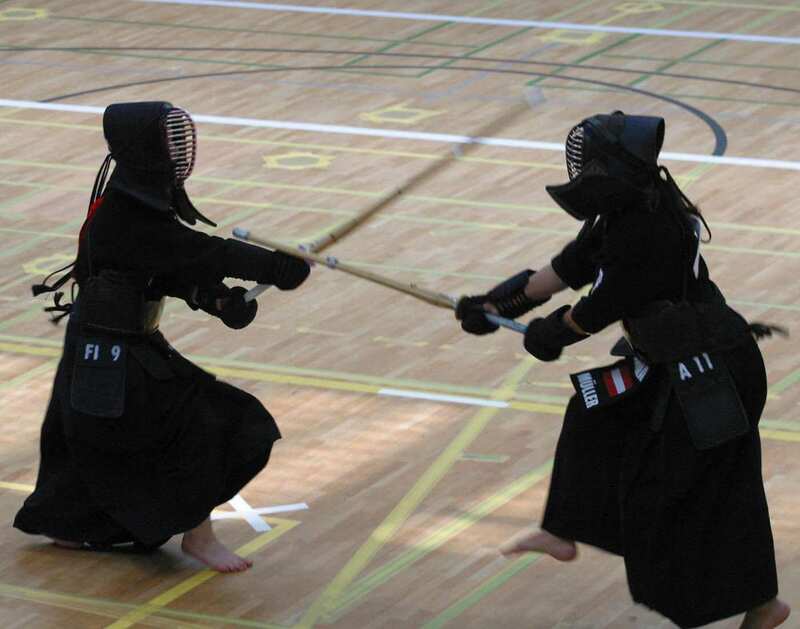 Kendo bouts feature two contenders, clothed head to foot in distinctive black gear, who aim to strike each other with their shinai. 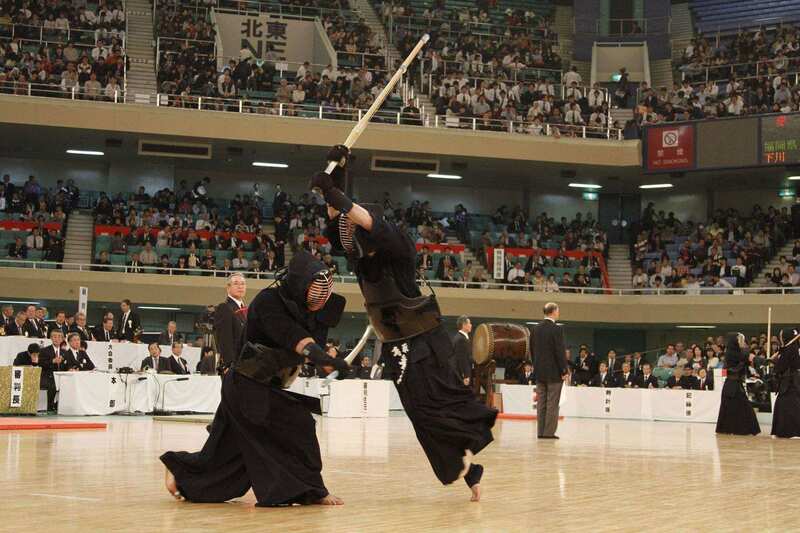 Kendo is practiced in a purpose-built dōjō, though some standard sports halls and other venues are usually used. 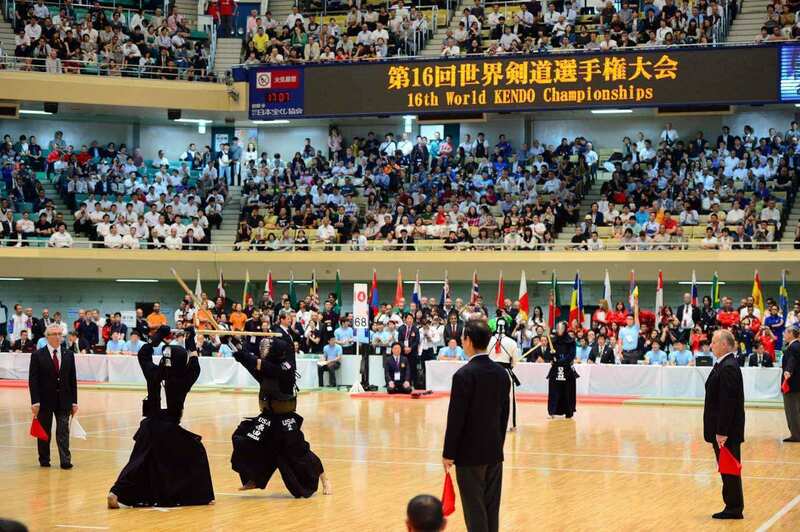 An appropriate venue for the sport has a clean and well-sprung wooden floor on which kendōka train and fight barefoot. 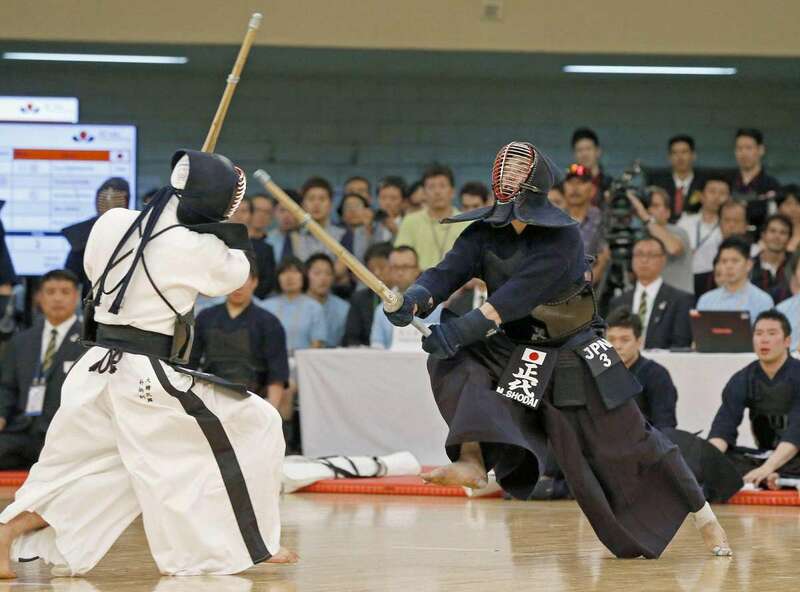 A kendo match lasts for five minutes and is usually a three-point match in which whoever is the first to score two points wins. 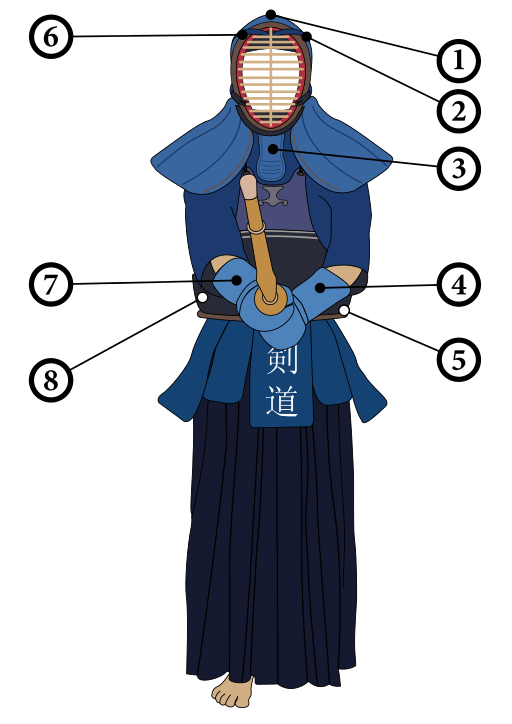 If the time limit is reached and only one kendōka has a point, then he/she wins. In the case of a tie, several possibilities are there. There are specified target areas (datotsu-bui) towards which the strikes and thrusts (kendo techniques) are made. 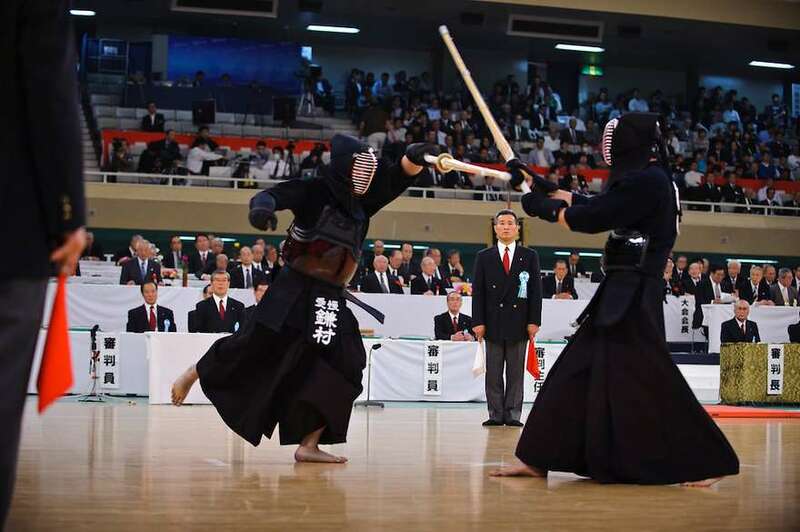 Strikes are only made on the wrist, head or body, which are protected by armour.  Thrusts are only allowed to the throat.